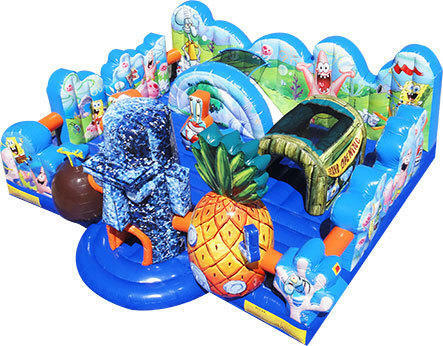 Calling all Toddlers Sponge Bob is always a favorite - The are work is fantastic on this unit and will have your toddlers playing for hours. Jumpling, sliding, climbing and more. This is a great unit for toddlers and parents can see the kids at all times to make sure they are safe and having a grand time.